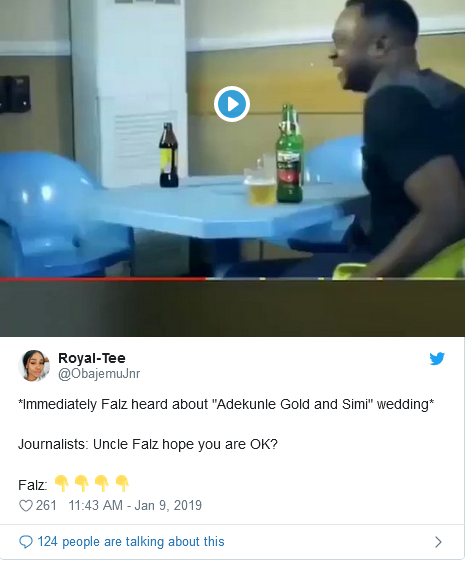 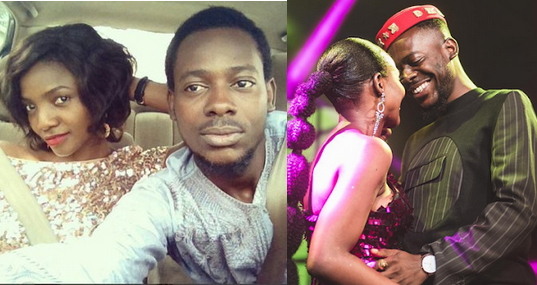 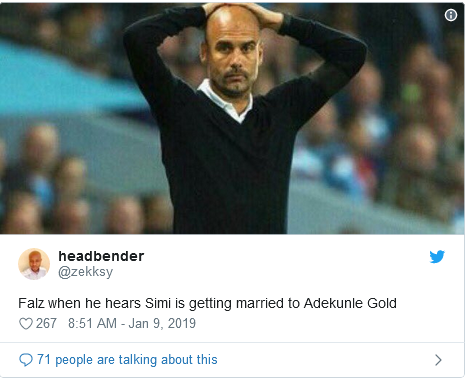 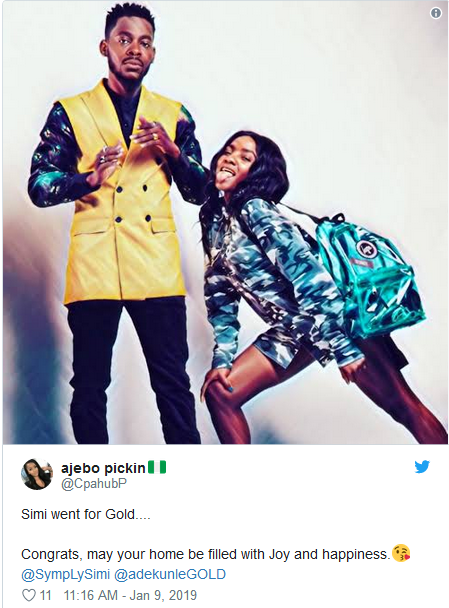 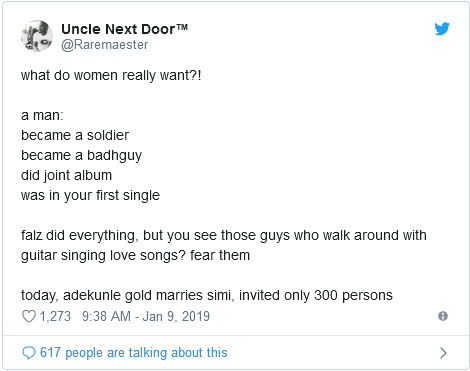 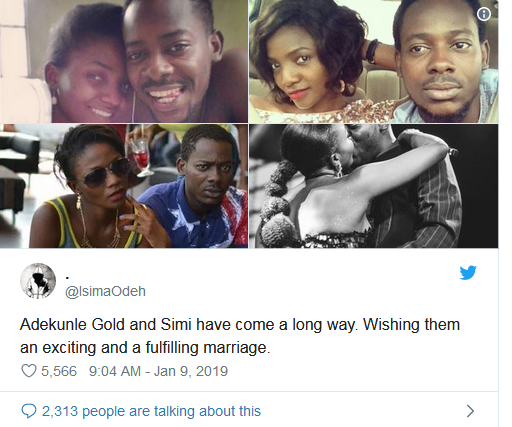 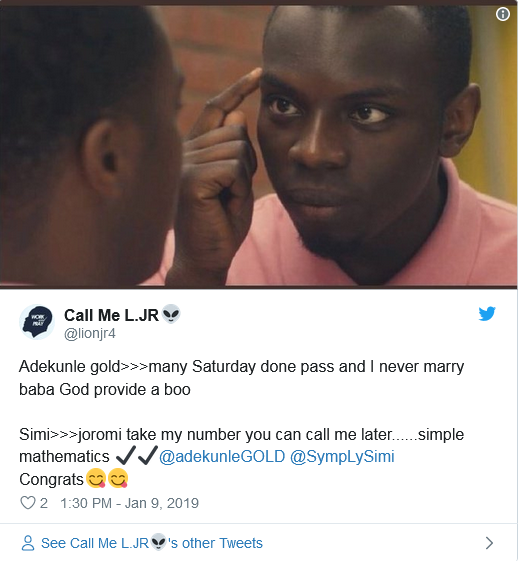 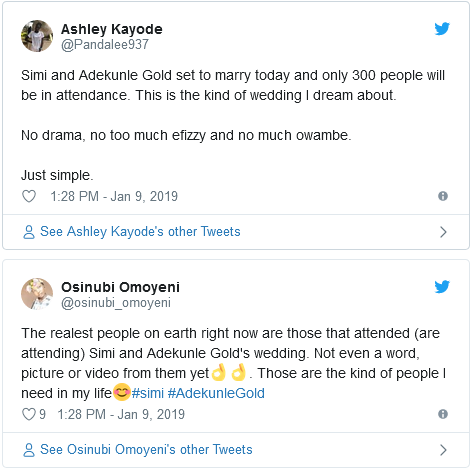 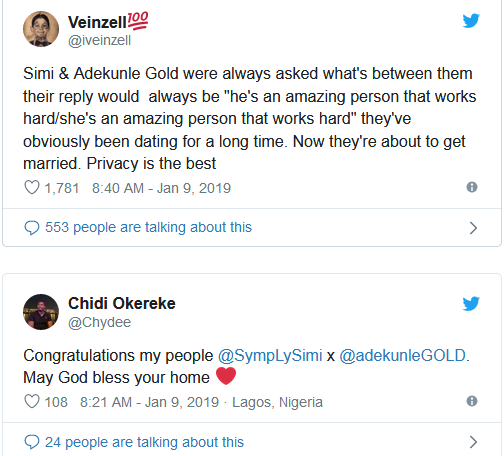 Nigerian music stars, Adekunle Gold and Simi are set getting married their fans are rolling over with joy. 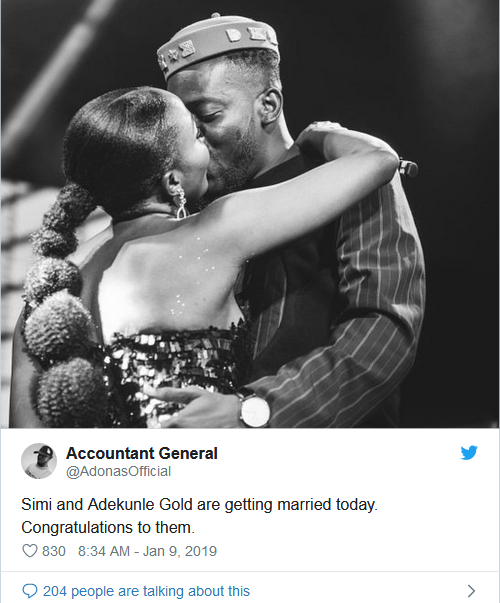 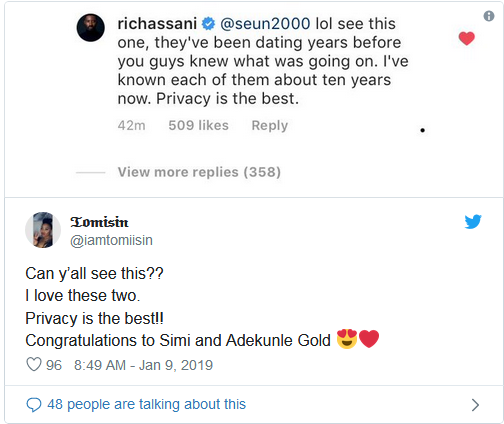 The singers have been rumored to be in a relationship for years and recently, they seemed to confirm those reports by sharing a kiss onstage during Simi’s concert in December. 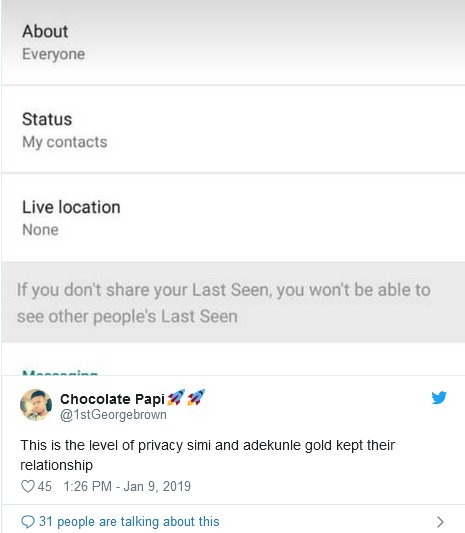 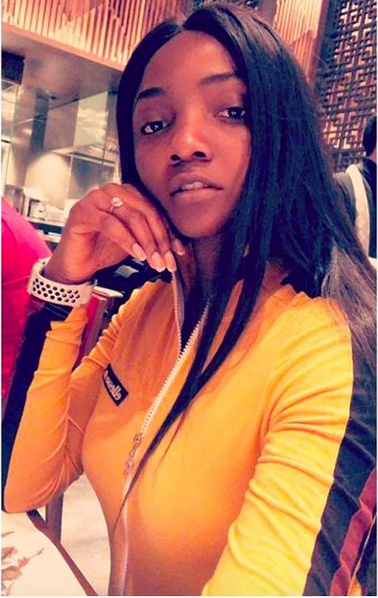 A couple of weeks ago, Simi was spotted wearing an engagement ring on social media. 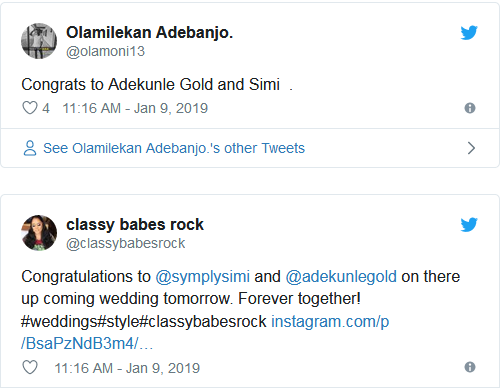 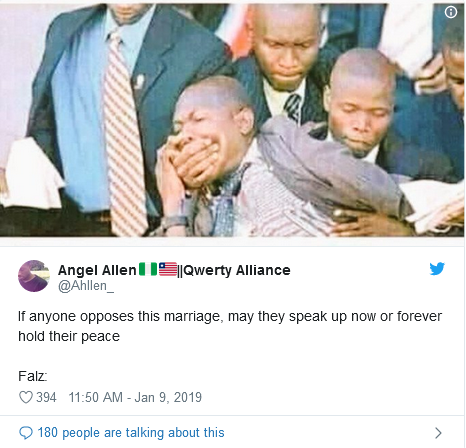 According to a report, the lovebirds will tie the knot traditionally today in Victoria Island, Lagos.